reflexology, aka zone therapy, is an alternative medicine method of treatment involving the physical act of applying pressure or massage to the feet, hands and ears with specific thumb, finger and hand techniques. its based on what reflexologists claim to be a system of zones and reflex areas that reflect an image of the body on the feet and hands. 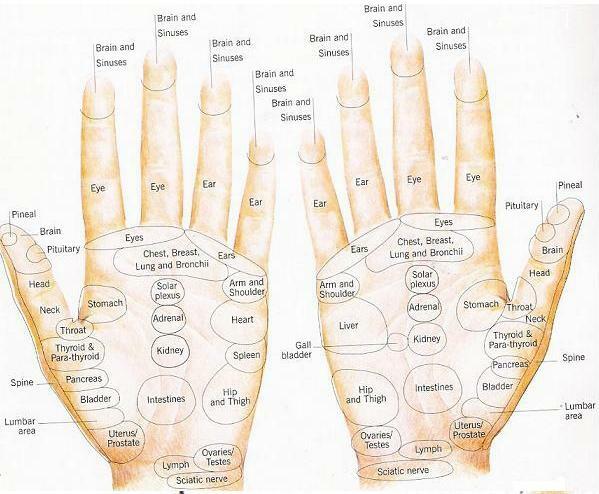 these reflex areas supposedly relate to all organs and systems within the body. these cute little socks and gloves are like reflexology for dummies – i love it! J – i hope this quenches your wondering thirst… now tell D to get massaging! !